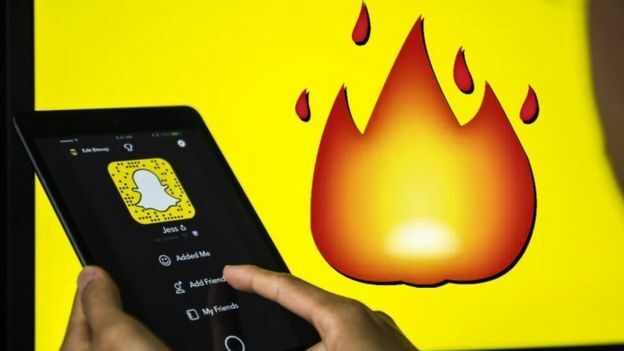 Facebook and Instagram face a ban on letting under-18s "like" posts on their platforms while Snapchat could be prevented from allowing the age group to build up "streaks", under new rules proposed by the UK's data watchdog. Likes help build up profiles of users' interests while streaks encourage them to send photos and videos daily. To ensure its success, the Information Commissioner's Office (ICO) says that online services must also adopt "robust" age-verification systems. "The internet and all its wonders are hardwired into their everyday lives," commented Information Commissioner Elizabeth Denham. The Internet Association UK - which represents Facebook, Snap and other tech firms - has already raised concerns. "Any new guidelines must be technically possible to implement in practice, and not stifle innovation and opportunities for smaller platforms," said its executive director Daniel Dyball. "We must be careful when designing regulation to ensure any technical challenges, particularly around age verification, are understood and taken into consideration." Restrictions on Facebook's like button - which registers a user's interest in another user or advertiser's post - and Snapchat streaks - which count the number of consecutive days two members have messaged each other - are not the only nudge behaviours being targeted. These, it said, exploit "human susceptibility to reward-seeking behaviours in order to keep users online". The ICO's rules follow a proposal from the Department for Digital, Culture, Media and Sport (DCMS) for the creation of an independent tech watchdog that would write its own "code of practice" for online companies. "Social networks have continually failed to prioritise child safety in their design, which has resulted in tragic consequences," commented the charity's Andy Burrows. "This design code from the ICO is a really significant package of measures, but it must go hand in hand with the government following through on its commitment to enshrine in law a new duty of care on social networks and an independent regulator with powers to investigate and fine." "The ICO is an unelected quango introducing draconian limitations on the internet with the threat of massive fines," said its head of research Matthew Lesh. "It is ridiculous to infantilise people and treat everyone as children." This new proposed code arrives a week after the sweeping new regulatory powers outlined in the government's Online Harms White Paper and with much less of a fanfare. But whereas the all-powerful regulator is unlikely to be in place for many months or even years, the Information Commissioner's Office expects to get its Children's Code of Practice into law this summer. That means that Facebook and Instagram - among others - will need to think rapidly about whether their platforms risk breaking the new rules. The ICO made clear this morning that its problem with "likes" and "streaks" is not the features themselves but how they are used to collect data and target children with advertising. So, if the platforms want to hold on to what they regard as useful elements of the social media experience, they'll have to show they work differently for children than for adults. That will mean adults having to opt in to the kind of data collection which is a key part of the business model of social media firms - so this code could pose a real threat to their bottom line.